Ted Cahall participated in the SCCA Spring Driving School (day 2 blog post) in preparation for the MARRS Series in 2009. 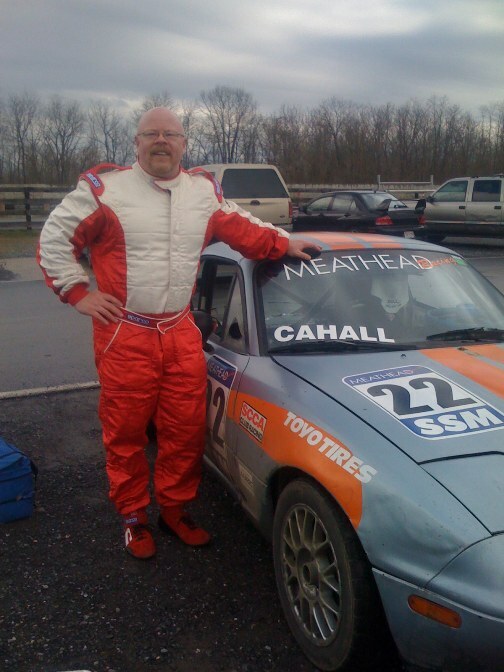 Here is a photo of Ted with the Spec Miata he drove in driving school. Additional photos of Ted driving his Spec Miata in driving school are here on Webshots.